Pretty Woman fanatics, this is likely the moment you've always dreamed of (besides dating a handsome gent like Edward Lewis). 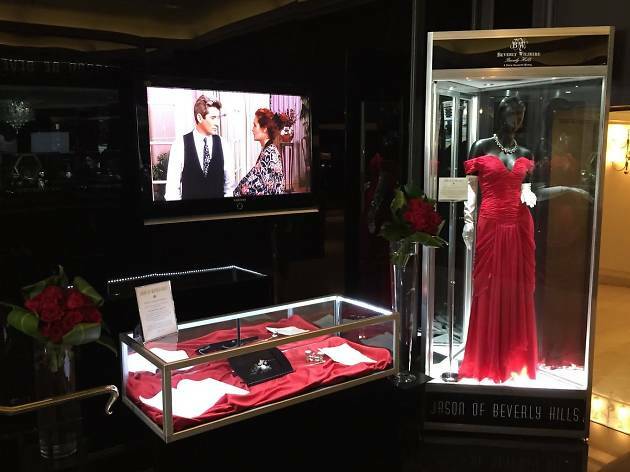 Transport yourself into the film’s most iconic scenes at none other than the luxe Beverly Wilshire Hotel. 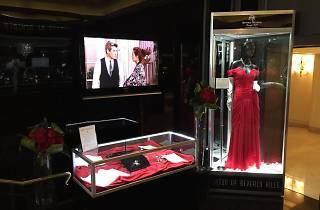 In celebration of the film’s 25th year release (we’re feeling old too), Angelenos can gaze at a recreation of the legendary red dress and $500,000 Pretty Woman-inspired necklace from Jason of Beverly Hills—you might need a pair of sunnies to stare into 43.20 carats of white diamonds and over 105 carats of Rubelite. The experience also showcases the actual movie script, the binoculars Vivian used at the opera and an inside look on how the stunning necklace was made. The best part? Capture your fandom with a selfie camera station, perfect pre-positioned, so that you could easily share your Pretty Woman moment at the same place where the movie was filmed.